I've just been "surfing" and found this most beautiful post. I really wish I could write just like this! 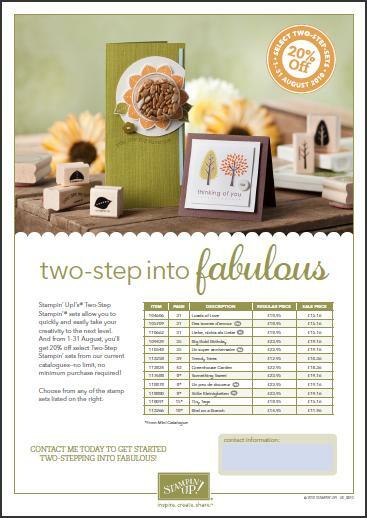 Remember though, that we can have the magic of FREE stamps with Sale-A-Bration, call or email me with your order! Wishing you all a very happy and magical New Year. I hope you have all enjoyed the sort of Christmas that you wanted. With all of the snow here our plans had to change but we still had a nice, peaceful time. I very much missed people I couldn't be with, as I always do, but relaxed knowing there was nothing I could do about it! These are some of the samples that I've managed to make, wow look how many! I have been a little crafty, making two of some, one to give away and one to keep! Back to my title "snow chuffed", the reason for this is that I have my first blog award! My lovely friend and Stampin' sister Keren has awarded me this lovely award, her blog is amazing she tells you the most interesting stories of her family life, together with showing lovely Stampin' Up projects, check out her blog here. Wishing you all a very happy 2011. 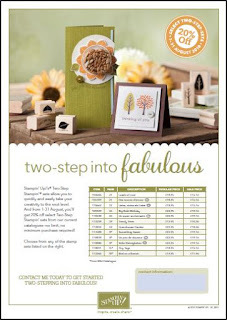 All supplies are Stampin' Up; Stamp Sets: Bliss, Punch Bunch, So Happy for You, & Sweet Summer. Cardstock & Ink: Bashful Blue, Rose Red, Pretty in Pink, Basic Gray, Real Red, Certainly Celery, Marina Mist, Chocolate Chip, & Naturals Ivory. Punches: Two-Step Bird punch, Curly Label punch, Scallop Circle punch, Extra Large Circle 1 3/4" punch & Scallop Trim Border punch. Its already the 9th day of Christmas and I'm not getting on with it basically! The trouble is, I have so many plans and so little time! I did though help the ladies of Harwell W.I. get on with their Christmas preparations by showing them last night how to make a re-usable Christmas Cracker. I have been making these crackers now for a few years and although I vow every year that I won't teach them again someone talks me into it! These crackers are not too difficult to make but trying to get 30 W.I. ladies making them at the same time can be quite a laugh! They are made on rolling pins and ladies are asked to bring along their own - well you probably can imagine how many different types and sizes of rolling pins turn up and thats when the class turns into fits of giggles! I tell them I am talking about rolling pins, but somehow they have other things on their minds when I mention "Oh that's a big one - where on earth did you get that one"! Well as the making of them goes on, the inuendoes continue and making them seems to be so difficult! There was a lovely lady there last night, she was having a little bit of difficulty half way through and when I went to investigate I saw that hers was an extremely short one - I told the rest of the class that this poor lady only had a little one and it wasn't working at all well, when she replied "Oh this isn't a rolling pin, my husband told me that I didn't need my rolling pin and his tube of mastic stuff would be fine"! I asked her to pass a message back to her husband that went something like "please tell your husband that if the instructions request a rolling pin then a tube of mastic stuff won't work! Or words to the same effect! By the end of the evening, there were many lovely crackers to be seen and a few ladies told me that they had enjoyed the laugh - thank goodness, I came home exhausted and needed a little something to help me calm down after the event. Hope your Christmas preparations are going better than mine.......happy crafting. .......it lights up my life! I saw that on a scrapbook page today and am blogging it, hoping that will remind me later, to make a page with that title myself. Here is a card we made in class a month or two ago............I know you are only looking for a card, I'm not silly, sorry if you made this in one of my classes! I've used the Stampin Up stamp sets called Contempo Chritsmas and Delightful Decorations along with Cherry Cobbler Card Stock and Jolly Holiday papers. I turned on the t.v. this morning only to see for the second day in a row the terrible disruptions being caused by our early snow fall. It looks just like Christmas and the general feeling of good will and community spirits are making it feel like Christmas too. I saw on the news, a farmer taking midwives into work on his tractor and people all gathering around sharing infomation on train times etc. I love all this community spirit, it seems a shame it takes a huge blanket of snow to bring the best out, in us all. I called my friends this morning who live in South Yorkshire, their village is just next to the one where there are 200 lorries stranded. He told me that his neighbours were being great, he called one last night to ask if he could borrow an onion to cook with, its funny he said, he had grown lots this year and they were all in his greenhouse drying out, just a shame he couldn't open his back door, let alone get to his greenhouse. Now things must be bad if you can't get to your onions! I've decided to work from home again today, funny that - we hardly have any snow, we are so very lucky, but at least I do have the best job in the world and I can stay in and craft and still call it work! You see hardly any snow and still not cold enough to wear jeans, although I did pop on a jumper! On my crafting table at them moment I only have my Stampin' Up In Colours out. I really love them, I have a class on Friday evening and thought I'd use nothing but In Colours for this class, so this card had to be an In Colour. I used Concord Crush, which is a really deep purple and two Stampin' Up Stamp sets; Afterthoughts (level one hostess set) and Party This Way, which we were given at Convention and I thought then that it was a great Stampin' set for male cards. As it is my Day Two of Christmas, I did pop a little reindeer into the piccy........I just had to really! Happy crafting, see you tomorrow. Well it really is the first day of Christmas and I am determined to be happy about it. I signed up for an on-line class today that is going to support me through this busy and what I normally normally find a stressful time! The class is all about the 37 days of Christmas and I am going to make time each day to 'enjoy' these special days we have. I am supposed to blog, scrapbook, take a piccy or journal my way through the next 37 days. I am hoping to put time aside each day to do something that might just end up as a nice paper-crafting project. Lets just see how far I get................I hope to share all my progress with you! Today I joined the class and thought that that was enough for the day, but now it's around 7.30 p.m. and I can share with you more of my JOY today. Firstly, I know it's boring but I did get my ironing done! Then my lovely downline, Rose, came for lunch and she sat and made her ATC swaps (for a group she attends each month). She was using some lovely Stampin' Up products and her ATC was really Christmassy and lovely. Then I had my hair cut - I meant to ask DH to take a piccy of me getting my hair done, but I forgot so I did get one of him having his cut (it wasn't good!) and one of our lovely hairdresser, Michelle. Thinking that was all the excitement round here for today and pondering my next move.... was I going to do a blog post?....... make a scrappin' page?........ or write note in my diary to remind me to write something later?.........then the door bell rings and it's a very nice man collecting money for the local Lions club. Father Christmas travels around here every year collecting money for the charity. I emptied all the coins from my purse in the excitement and rushed back to get my camera, only to witness the actual "Father Christmas" leaving my neighbours house! Well I called him, "Father Christmas!" I shouted, but he didn't hear me and was off towards another house and it was too cold to wait, so I took a photo of his road sleigh and ran indoors. I called my neighbour and asked how she had managed to have him call at her house. Obviously, I said, "He's called at yours because you have a BMW on the drive and your house looks posher than mine." "Oh no," she replied, "I stood in my porch with my jumper pulled right up and he came right over and said that I was a good girl!" The conversation went on........but I couldn't possibly share the rest, my neighbours are very respectable, they go to church and everything........ just thinking, perhaps the Lord really thought I needed a good laugh today and he gave one to me.....thank you Lord! So this is the photo of Santa's sleigh (trailer!). Happy Stampin' and crafting for now. Its been a bit of a miserable week for me, I've heard news that just sends me right down in the dumps! I am someone who often suffers the pain of others, even if I don't know them at all well, or in deed at all! I have also been greatly saddend this week by the news of one of my own family members doing very well who has used money "willed" to my girls and refuses to pay them their inheritance. People have a cheek, fancy conning money out of a very sick person and making promises that they haven't kept. I am sure my mother is turning in her grave with whats happening. This morning in my email inbox came an email of a blog update that I follow, the lovely Keren Baker. She writes some lovely blog posts, I don't always stop and read the whole of her posts, but when I do I seem to come away feeling that I've learned something. Her card today was a card of HOPE, she wrote about the rain she had endured during her recent family holiday but was grateful for the blessings in her life and she mentioned the Pakistan flood crisis. I hope that all the people in the world who are suffering can find some peace and happiness in their lives. I hope that all the people doing wrong, will find ways of putting things right. I hope that everyone suffering life threatening and life limiting illnesses can make the most of each day. I hope that the economy picks up enough so that people searching for jobs can find one. I hope people suffering loneliness can find comfort and friendships. I hope all who suffer depression can be gently lifted out of it. I hope that all who are sick, in pain, or have broken bones can be healed quickly. These are just a few "hopes" that are springing to mind today and this card is for all who feel the need for a little bit of HOPE. Well I'm feeling so much better now that I have counted my blessings, there are many. Thanks to Keren for making me count them today. After speaking to and emailing my lovely friend and customer Lesley about my last card I made from Big Bold Birthday I came up with this today. My friend reminded me of a class I taught a couple of years ago now, where we made icing from glue, flour and Stampin' Up re-inkers to ice a cake on a card. I gave it a go today and was really pleased with how this grungy card turned out. The photo is not all that good again, but I think you can see the idea. I sprinked the top with Dazzling Diamonds (Stampin' Up very fine glitter) and made a button using Bashful Blue Designer Series Paper and a clear Stampin' Up buttom. Its so easy, these button are the same size as our punches so all I did was to punch out a 3/4" circle, distress the edges with Soft Suede Ink and glued it with Stampin' Up Crystal Effects. The main card was made using Soft Suede card stock and Bashful Blue Designer Series Paper. The stamp set used was Big Bold Birthday. I've had a lovely couple of days again, my Stampin' Up sister came over yesterday, we chatted, giggled, crafted and ate, of course! It was great to have her attend my class last night too. It was a particularly giggly class - not sure why, but we all did have some fun! These two hour evening classes are a bit of a joke really, with ladies starting to arrive from 7 and are here still chatting at almost 11. There always seems so much to catch up on and with cards to make, the time flies. The background paper is from the Stampin' Up Night and Day collection, the flowers have been stamped in Tempting Turquoise from the One of a Kind stamp set, I snipped into each petal and embossed from behind to give them more depth. The flower stems were stamped in Certainly Celery and the stamp used was from Playful Petals and the leaves were also stamped in Certainly Celery and is the leaf stamp out of Vintage Vogue (thanks Peg, she knew immediately which stamp set we needed for a good leaf!). We finished off the card with the sentiment from One of a Kind and pricked the edges of the top white mat using the Stampin' Up Mat Pack. The butterflies are from a US Stampin Up Embosslits called Beautiful Wings. My lovely friend Rose came over this afternoon and with inspiration evading us we decided to CASE the lovely Monica Gale's card. After seeing her blog and video I purchased this set (which arrived yesterday) - she should get extra comission for this - as far as I'm concerned! At least its one of the sets that is 20% off this month! The two cards together looked great, but after the photo was taken I moved the flower on the card on the right! Also after Rose had left for home, I actually embellished further with Crystal Effects and Dazzling Diamond glitter. The thing that Rose and I loved the most was the colour combination - Regal Rose, Close to Cocoa & Apricot Appeal. Two of these colours will be leaving us at the end of next month, so if you like this colour combo let me know and I can place an order for them for you. Gosh time flies, another week has gone by without a "new post" from me. Unfortunately the photo isn't great - I keep meaning to book myself onto a photography course, but I will have to retire first, in order to have the time! I've just found the photo of another card card I made recently, it was the card I sent to my friends in Dorset thanking them for the lovely few days I spent with them last week. The inspiration for this one came from a surfing marathon I did, sorry to say that I can't now remember where I'd seen something very similar :( but I thought it was a really nice layout for a card. The colour inspiration came from my friends love of green and the main colour of her "feature wall's" wall paper in her newly decorated dining room. Another Stampin' Up product used, that I haven't used very much in the past was the "Watercolor Wonder" crayons, to colour the image - it was so easy, they might be might next favourite product! Its our friend Malcolm's birthday today. Happy Birthday Malcolm - I hope those ladies are all spoiling you, letting you put your feet up and giving you a day off decorating! I used a technique that I have been wanting to try for ages - making embossed dots with the Crop-A-Dile. I remember seeing it at the very first Stampin' Up training I went to, another demonstrator had used the idea on her swap and as I hadn't used that idea yet, I thought I'd give it a go and was pleased with the result. Stampin' Up Marker Pens in: Black & Real Red. I used white shrink plastic to make the shells on the cards. The other products used were: Autumn Meadows DP, Creamy Caramel, Whisper White & Chocolate Chip CS; More Mustard, Creamy Caramel, Tempting Turquoise, Taken with Teal & Chocolate Chip ink pads and a piece of old string! The white dots on the cards are added using a white gel pen. Catching up with my pages! I often design scrapbook pages and layouts to show at my crops, but don't always manage to actually finish them! I have spent the afternoon sticking and glueing and feel that I have really accomplished something! I was inspired to finish this first double page spread with my latest favourite technique of sponging edges. I gently sponged the edges of everything in sight, just go gentle with your sponging, start off the page and gradually/lightly sponge in a circular motion. You can always add more! This next layout you will also see a very small amount of sponging, but it was my new Stampin' Up Extra-Large Two-Step Bird punch that inspired me to finish my double page spread. I was teaching the block background and just threw on these photos at one of my crops to show, but felt the trains were a little boring!!! Now with the addition of my newly acquired punch and using my old friend "Colin the Cricut" I am pleased with the final result. Why don't you catch up on some unfinished projects?